The Congestive Heart Failure Remote Monitoring Program helps nurses better care for their patients with congestive heart failure while simultaneously motivating patients to take control of their health. Since congestive heart failure can be detected by a sudden increase in weight due to fluid retention, the monitoring program allows nurses to regularly check their patients’ weight through an online application. 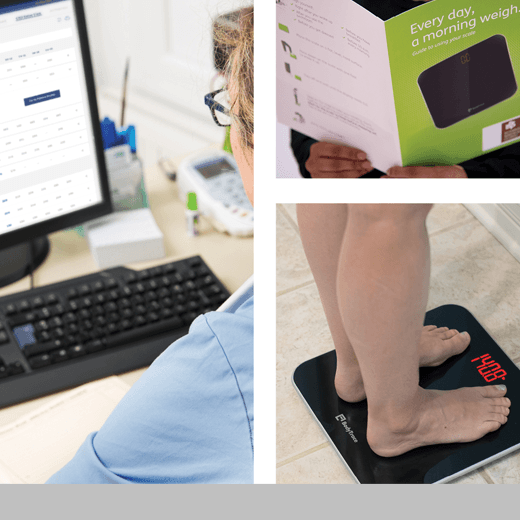 Patients weigh in each morning on a cell-enabled scale, which transmits their weight to their nurse. If the patient’s weight has risen too much over a period of time, the nurse is automatically alerted and can provide an appropriate intervention to prevent hospitalization.